On 7 July 2017, at the United Nations in New York, a Treaty on the Prohibition of Nuclear Weapons was voted by 122 Member States, one Member State, the Netherlands, voted against, and one Member State, Singapore, abstained. The People's Republic of Korea (North Korea) was the only nuclear-weapon State to take part in the Treaty Conference and to vote in favor of its adoption. The other nuclear-weapon States did not participate in the drafting of the Treaty. Immediately after the positive vote, the delegations of the USA, the United Kingdom, and France issued a joint press statement saying that "This initiative clearly disregards the realities of the international security environment... This treaty offers no solution to the grave threat posed by North Korea's nuclear program, nor does it address other security challenges that made nuclear deterrence necessary." Article I of the Treaty sets out its basic intention: to prohibit all activities involving nuclear weapons including to develop, test, produce, manufacture, acquire, possess or stockpile nuclear weapons and to use, threaten to use, transfer, station, install or deploy these weapons. The Treaty will be open for signature and thus the start of the process of ratification at the start of the U.N. General Assembly on 20 September 2017. 50 ratifications are necessary for the Treaty to come into force. 21 September is the World Day for Peace, set by the U.N. General Assembly in 1981. The theme this year is "Together for Peace: Respect, Safety and Dignity for All". The Association of World Citizens believes that signing the Treaty on the Prohibition of Nuclear Weapons would be a most appropriate way to mark the Day of Peace and its theme "Together for Peace". 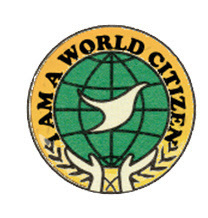 The Association of World Citizens warmly welcomes the Treaty and expresses its deep appreciation to the U.N. secretariat, the delegates of the Member States, and fellow non-governmental organization representatives who have worked to achieve this common goal, an important step toward a world free of the threats posed by nuclear weapons. World Citizens were among those who called for the abolition of nuclear weapons shortly after their first use on Japan, and many Japanese world citizens have constantly participated in efforts toward their abolition. 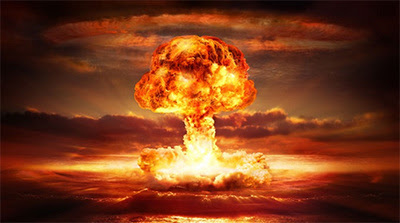 World Citizens have also stressed that the abolition of nuclear weapons is part of a larger effort of disarmament and the peaceful settlement of disputes. At each 5-year review of the Treaty on the Non-proliferation of Nuclear Weapons (NPT), World Citizens have stressed that Article VI of the NPT has not been fulfilled by the nuclear-weapon States. Article VI says that "Each of the Parties to the Treaty undertakes to pursue negotiations in good faith on effective measures relating to cessation of the nuclear arms race at an early date and to nuclear disarmament, and on a treaty on general and complete disarmament under strict and effective international control." Unfortunately, the issue of general and complete disarmament and forms of verification and control are no longer topics on the world agenda. The Treaty on the Prohibition of Nuclear Weapons follows what has been called The Hague Law tradition of the banning of weapons because of their humanitarian consequences, a tradition first stressed in Saint Petersburg in 1868 and which was at the heart of the two peace conferences of The Hague in 1899 and 1907. This tradition has led to the ban on poison gas by the 1925 Geneva Protocol as well as the more recent bans on chemical weapons, biological weapons, anti-personnel land mines, and cluster munitions. A conference of U.N. Member States was held in Vienna, Austria on the Humanitarian Consequences of Nuclear Weapons which brought up-to-date the many reports and studies on the impact of the use of nuclear weapons on humans and Nature. Thus the emphasis of the negotiations on the Treaty concerned more humanitarian consequences rather than arms control issues. World Citizens have always stressed that the abolition of nuclear weapons and other disarmament measures must be accompanied by efforts to strengthen world institutions that can skillfully address conflicts as early as possible. Acting together, all States and peoples can help to define a dynamic vision and program for achieving global security that is realistic and achievable. Progress toward a cosmopolitan, humanist world society requires the development of effective norms, procedures and institutions. Thus, the start of a speedy ratification procedure of the Treaty on the Prohibition of Nuclear Weapons on 21 September, Day of Peace, would be a sign to the peoples of the world that there is at the world level a vision of this crucial step toward a world of peace and justice.